C# Disciples | my life in Avalon …. 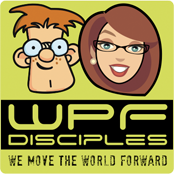 Long has it been since I wrote a blog post on WPF. <excited> Today I found something that I had to share with you guys. 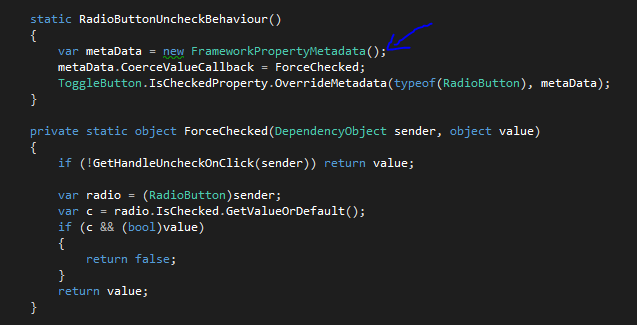 It’s not some big WPF feature, rather its very very small and probably it serves only a case or 2 however if you are unaware of it, you can spend hours scratching your head trying to figure out what is happening in your UI. I started wondering why would this happen. I prematurely blamed the InkCanvas for this however when I switch it with something else it was still happening. I started investigating and I came across this StackOverFlow thread (kudos Andrew Smith always great insights on WPF). What happens is that OnGotFocus of a control BringIntoView is called. 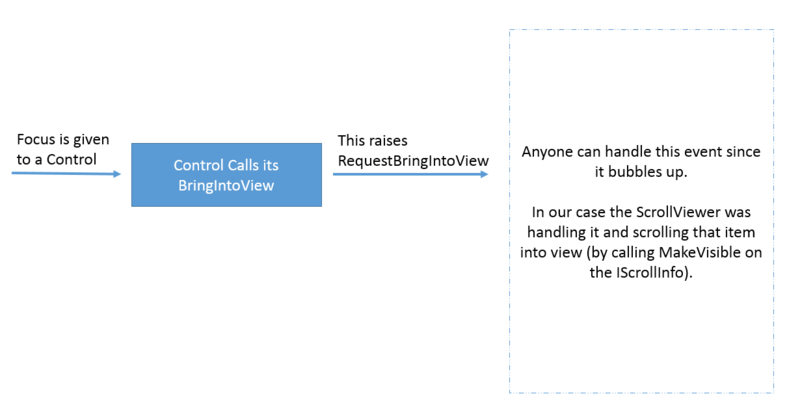 BringIntoView is a method inside FrameworkElement which will raise an event called RequestBringIntoView. This is an event which gets bubbled up the visual tree. Anyone can handle this event. In the case where you have a ScrollViewer as one of your ancestors, ScollViewer will call the MakeVisible method which will basically ask the layout panel to render the item in view. What you would do in this case is that you would handle the RequestBringIntoView of the ItemsControl (or any element whose ancestor is the scrollviewer, in this case it must be the ItemsControl) and set is handled to true. And voila. no more scrolling. This might seem very small and useless however by knowing how this works you will avoid being in a position where you see a behavior and cannot explain it. I have attached a small code sample if you want to play around a bit more with this. DISCLAIMER: This is classified as an old boring recruitment post but hey it’s one I need to call out… I just founded a new company, Thynk Software and I need smart guys that can help me grow and execute projects. Thynk Software is currently looking for software developers to help out in the product delivery space. Currently we have a pipeline of Windows 8 apps and also Web application (based on Azure). Most of the work can be done remotely (with some travel to the home office which would be covered by Thynk). If like us you are passionate about developing on these technologies please contact us (mgrech@thynksoftware.com). Would love to hear from you. I am sure that together we can figure out a way to work together ! So if you have been following my blog lately you would have noticed I am doing some adventures in HTML lately… No I am not leaving my XAML love behind I just feel that I should look at other stuff and get ideas from different technology stacks. 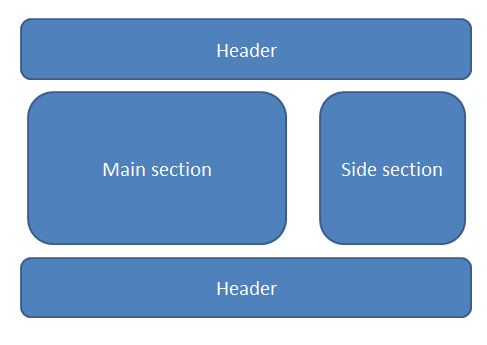 In todays article I want to show how layout specifically one nicknamed as the “Traditional Box Model” comes in handy to know for those that like me come form a XAML background, a background which has a rich layout system, a background where panels are the kings of the realm. 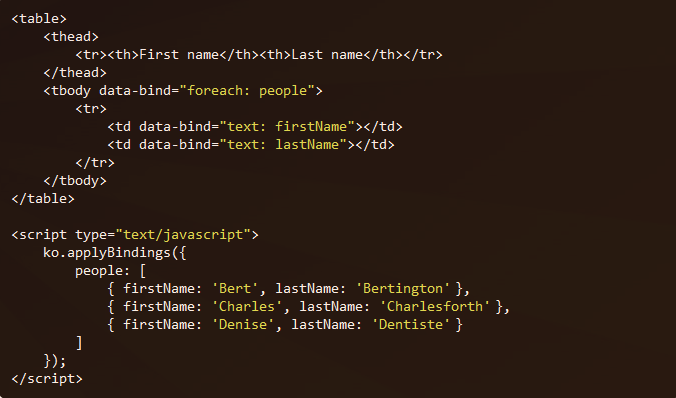 We’ll see how in HTML, yes this is a bit harder, but very achievable. We will also see how HTML5 and CSS3 introduces some really cool concepts and how layout becomes comparable to XAML layout and panels. I remember back in the days when I used to do web (around 6 years ago) many would layout the page by using a <table />. Yes a table believe it or not! You might ask yourself “but a table is really for displaying lists of data no??”. Well layout is not really the most intuitive thing to figure out in HTML and devs love shortcuts thus yes; tables were (and in some cases still are) a tool to do layout. But is it the best way to do layout?? No, its not really… A more flexible way to do layout is by using divs. Enter the “Box Model”. 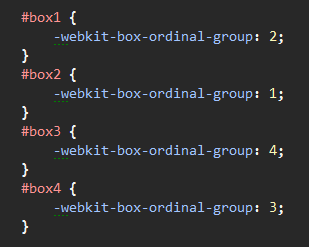 One way of picturing this layout is that every box is a div (some might argue it doesn’t really need to be a div but really any element that has display: block, but for simplicity, let’s say divs for now). A div by default will occupy all the width available, so if we had the following HTML the output would not really resemble the layout we have in the image here. 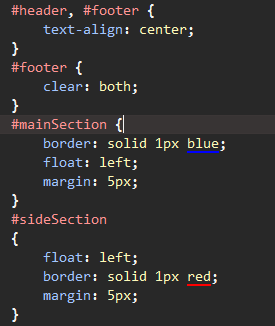 In order to get these 2 divs side by side, we need to specify a CSS property called float. You can specify left, right, none or inherit. In our case we will want to set the mainSection to float: left and the sideSection to float: left. The piece that many forget to add, which then results in chaos is to set to the next element (in our case the footer) the css property clear: both. This will restore the flow of the document and basically in our case it will prevent the footer from going up on the side of the sideSection div. What is annoying here is that we had to specify a width to both divs… In all fairness the sideSection can stay without a width and this would make it occupy the reminder width inside the page. That’s cool BUT we want our mainSection to take the dynamic width and not really the sideSection, right? Yes you can do it with the Traditional Box Model BUT instead lets have a look at how we can do this and much more using the new hot stuff from HTML5 and CSS3. Does this feel more like panels in the XAML world. WUHUU now we are talking …. so let’s pimp up our screen with some hot and spicy HTML 5 / CSS3. 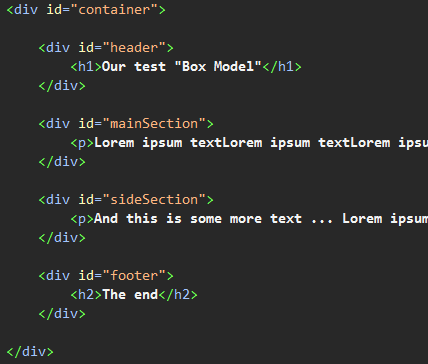 Let’s start fresh… here is some new HTML … Basically a parent div with 4 divs and lets start rocking! 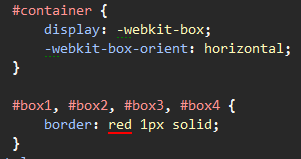 As I was saying the new flexible box model supports orientation, you do this by specifying box-orient. As expected this takes horizontal and vertical . P.S do not forget to add the –webkit- and all the rest. To do so we use another cool CSS3 feature. The magic property is called box-flex. Yes resizing the browser window will nicely resize these boxes just like one would expect. AWESOMENESS on a stick!!!!! Last but not least is box-align which can be center, left, right and also stretch. Check out more details on this over here. I hope that this article really shows you that HTML5 and CSS3 are really making some very cool and exciting things for us devs. If like me you come from a background where layout is something really rich (which in any XAML technology, layout is super easy to work with) HTML5 and CSS3 are building mechanisms to be leveraged and easily build awesome web applications. Today I stumbled upon a timeout issue while building a web application and felt like I need to share this for those that like me wasted/are wasting hours trying to figure out why you are getting a timeout. Here is a diagram that show the structure of the request response stack I have. The reason why I went for an AsyncController is that the long running operation is not CPU-bound processing thus the thread that would be waiting for the response would be wasting its time waiting. 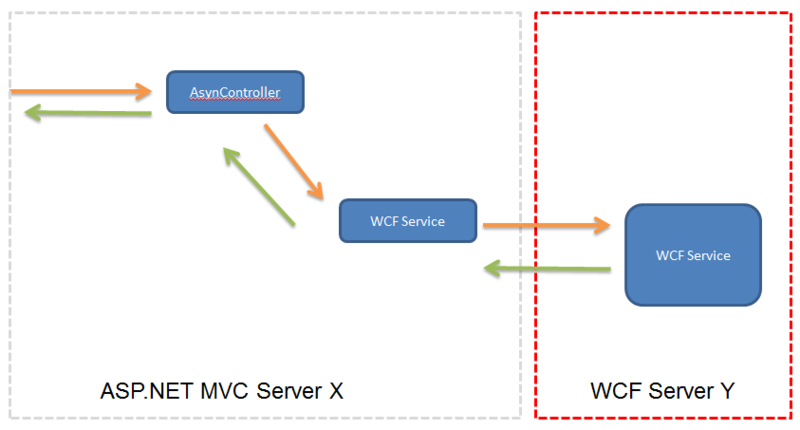 More info on why and how to use Async Controllers in MVC3 can be found here. All is fine and good until my I hit a request that took more than 1 minute, and then the nightmare of timeouts begun… So first thing I did is make sure I make the timeout for the WCF service longer. You can do this by setting the sendTimeout and the receiveTimeout of the binding in the binding configuration. Don’t forget to do the same thing on the client side otherwise you’ll get in trouble (the config is the same as the server, and if you are using VS to generate the config then this will be done for you when you refresh the ServiceReference). At this stage I said, wuhooo, it’s all done… but nope… it was still timing out … I was confused and puzzled… WHY WHY WHY!!!!! Well AsyncController also have a timeout (or 90seconds as per MSDN doc), you also need to set the timeout to the async controller action in order for this to work. You do this by setting the AsyncTimeout attribute on the action that you want to extend its timeout. 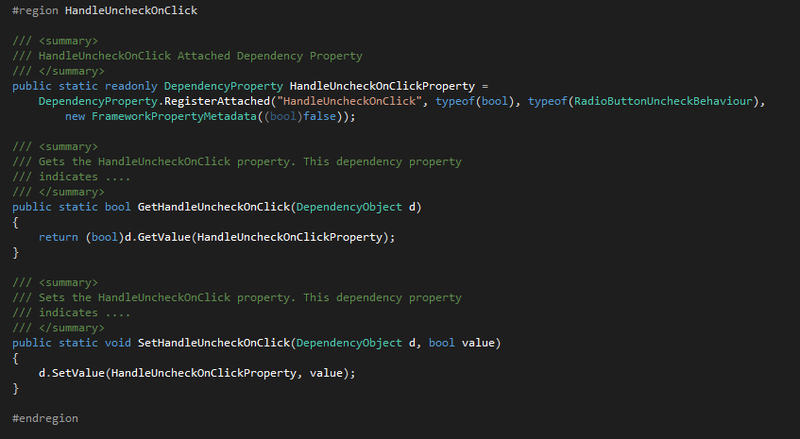 With this in place all started working… but yea the errors don’t really help !